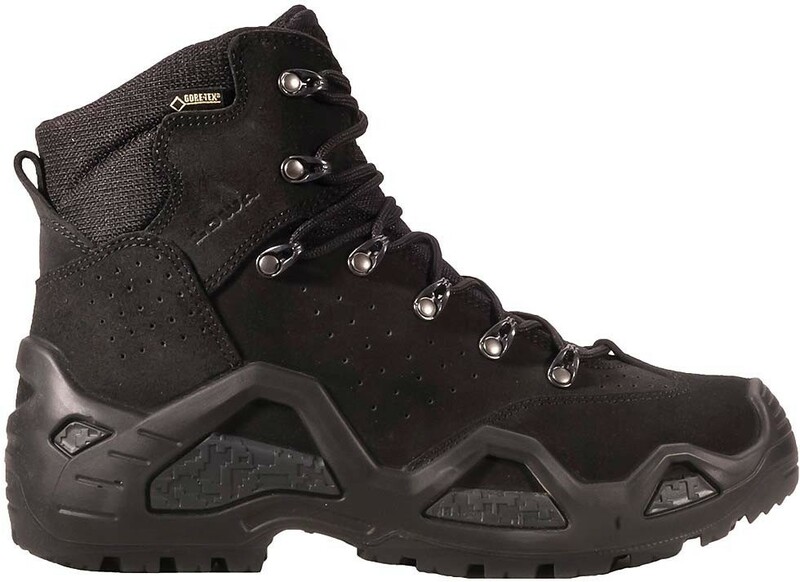 The men's Lowa Z-6S GTX boots are rugged, multi-function boots designed for demanding missions, while carrying heavy packs over varied and extreme terrain. MIDSOLE: Patented PU Monowrap construction keeps this boot lightweight, while providing maximum support. This unique frame construction also features a special medial sole wrap for protection against abrasion while rappelling.